Amazon.com description: Product Description: When Colonel Matthew Hammond was posted to the European theater during World War II, he sustained a serious injury on the front lines that cost him a lung. Now he is back in England, unable to fight, but continuing to serve his country by training new resistance fighters in SC2, a specialist sabotage outfit. One of the recruits under his tutelage is the spellbinding Madeleine Dirac, an exotic French-Canadian nurse. Despite protocols discouraging romance, they fall deeply in love. Â Â Â Â Matthew is torn about putting Madeleineâs life in danger: he has mixed duty and pleasure before, with tragic resultsâhis former lover, Celestine, was killed in an attempt to assassinate a Nazi doctor. But the Allies are mustering all their resources for crucial beach landings in Normandy, and Matthew knows his unit will be needed to parachute its agents in behind Nazi lines. 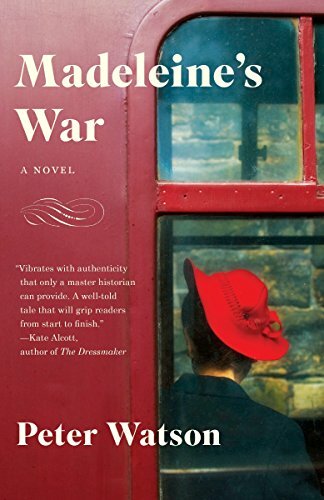 Vivid and unforgettable,Â Madeleineâs War is a gripping tale of love in wartimeâand of men and women caught in the sweep of history.